The TLC0834 (4-channel) and TLC0838 (8-channel) multiplexer is software-configured for single-ended or differential inputs as well as pseudodifferential input assignments. 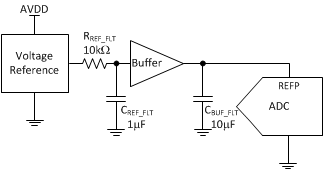 The differential analog voltage input allows for common-mode rejection or offset of the analog zero input voltage value. In addition, the voltage reference input can be adjusted to allow encoding of any smaller analog voltage span to the full 8 bits of resolution. The TLC0834C and TLC0838C are characterized for operation from 0°C to 70°C. The TLC0834I and TLC0838I are characterized for operation from -40°C to 85°C. The TLC0834Q is characterized for operation from -40°C to 125°C.